First Ever Online Food Festival Lets You Choose When And Where To Use Your Discounts! All year round, there are plenty of food festivals where you can treat yourself to everything from the best of the cuisine world or the latest foodie trends. Sometimes it’s hard to try every single dish because food festivals typically run over a few days, and your stomach is only that big. What if we told you that there was a food festival which lets YOU decide when you want to enjoy good food at your favourite place AND at a huge discount? 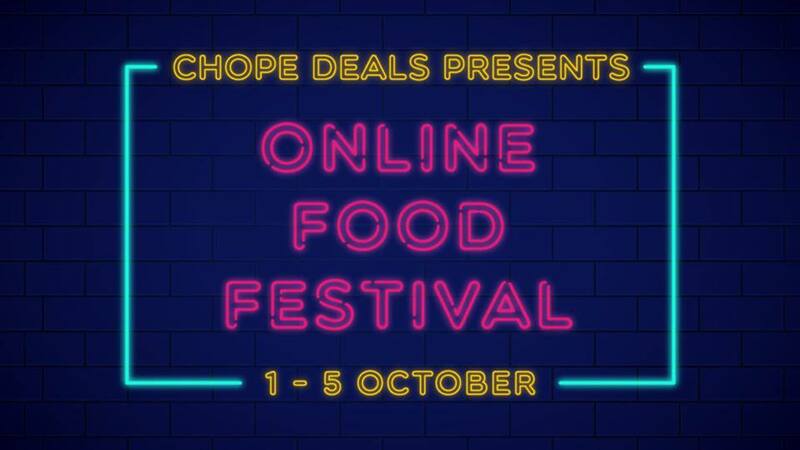 Chope, one of our favourite dining app, is holding their very own inaugural Online Food Festival from 1 to 5 October. The only thing we like better than good food is discounts, and the Online Food Festival combines the best of both. 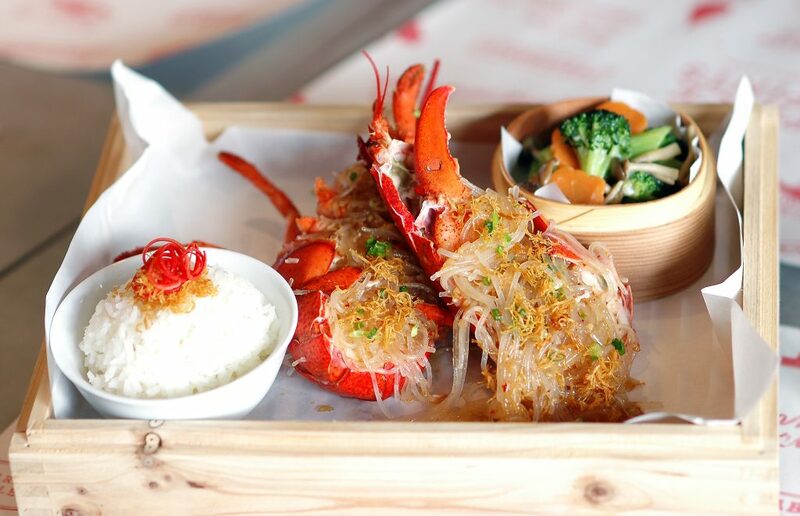 Only the best of the best deals will be on sale, and you can score deals up to 85% off at some of Singapore’s top restaurants. There are even Michelin-starred restaurants, which is your perfect chance to visit them if you’ve been putting them off! Because there is a huge variety of deals, we’ve broken down everything happening over the entire festival, plus a little heads-up for the restaurants worth keeping an eye out for. You don’t even have to physically attend a festival to be eligible for these discounts – all you need is a good internet connection, fast fingers, and a credit card, and you can sweep up all those awesome deals! To kick off the festival, Chope Deals will be hosting flash deals everyday from 1 to 4 October. Each day has a different theme, so you’d want to check back everyday to see if your favourite restaurants are having a deal. Deals will be released at 12pm, 3pm, and 6pm daily, and there is only a limited quantity available for each deal. Going along with the Asian theme on the first day, Chope starts off with a slew of Japanese and Chinese places. Maru Japanese Restaurant is offering a $15 4-course meal at half off, and Q-Wa Izayaka has various yakitori sets that pairs well with a good highball. Go crazy over baos with the $15 meal sets at Bao Makers, or indulge in deliciously spicy Sichuan cuisine at Chengdu Restaurant with their 3-course meals going at $15 too. One of the more popular sections in Chope Deals is the buffet section, where most of the deals are better than the discounts for certain credit cards or other promotions. 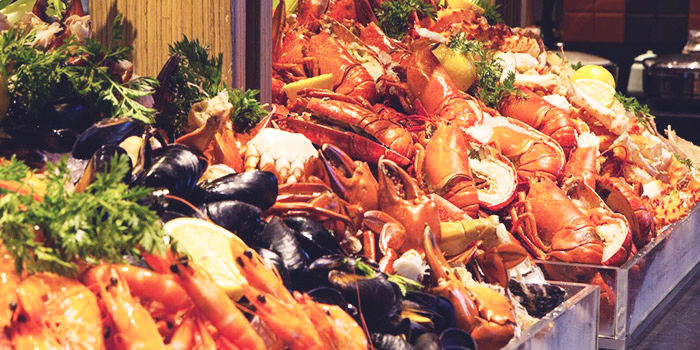 Enjoy up to 60% off buffets from restaurants like Ash & Elm, Shin Minori, The Carvery and more! For us, we’ve got our eye on the J65 weekday lunch buffet at Hotel Jen Tanglin, which is only going at $25 nett per person. If you’re more of a café-hopping person, you’ll be pleased to know that there is a whole day dedicated to flash deals from cafés on 3 October. Bike slash hipster cafe Wheeler’s Yard is offering a $15 3-course deal, while El Cubanos has a main and drink set for only $13. 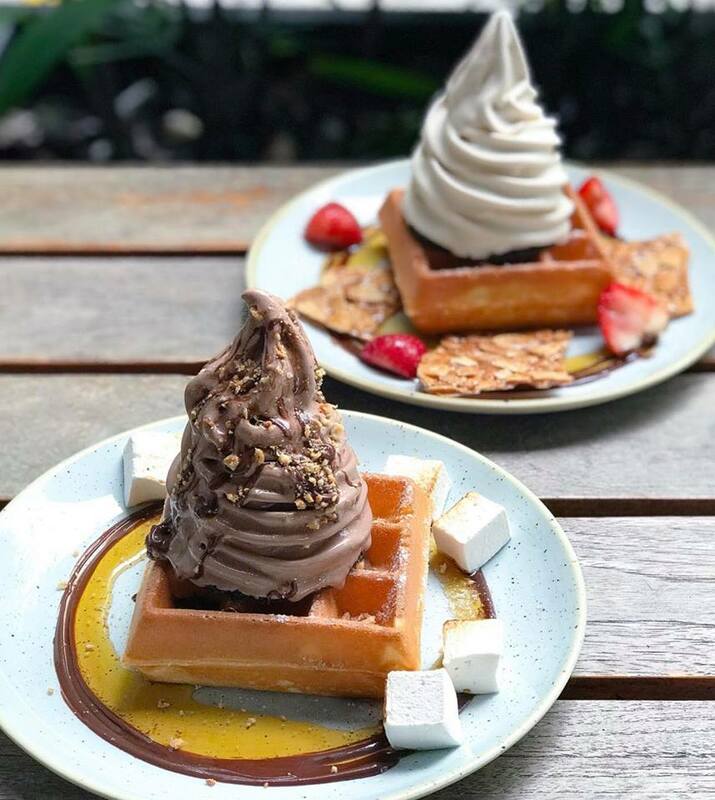 Ice cream lovers can get their hands on $20 Sunday Folks vouchers at nearly 35% off. Just before big blowout, Western food gets the spotlight on 4 October. Sate your burger cravings with $15 sets from HANS IM GLÜCK German Burgergrill and Grub Burger + Noodle Bar, or enjoy a 3-course meal at Wine & Chef. Everything culminates on 5 October, which starts promptly at midnight. Over 100 dining deals will be released, and there’ll be up to 60% off on $50 and $100 dining vouchers. $15 set meals will also be up for grabs. 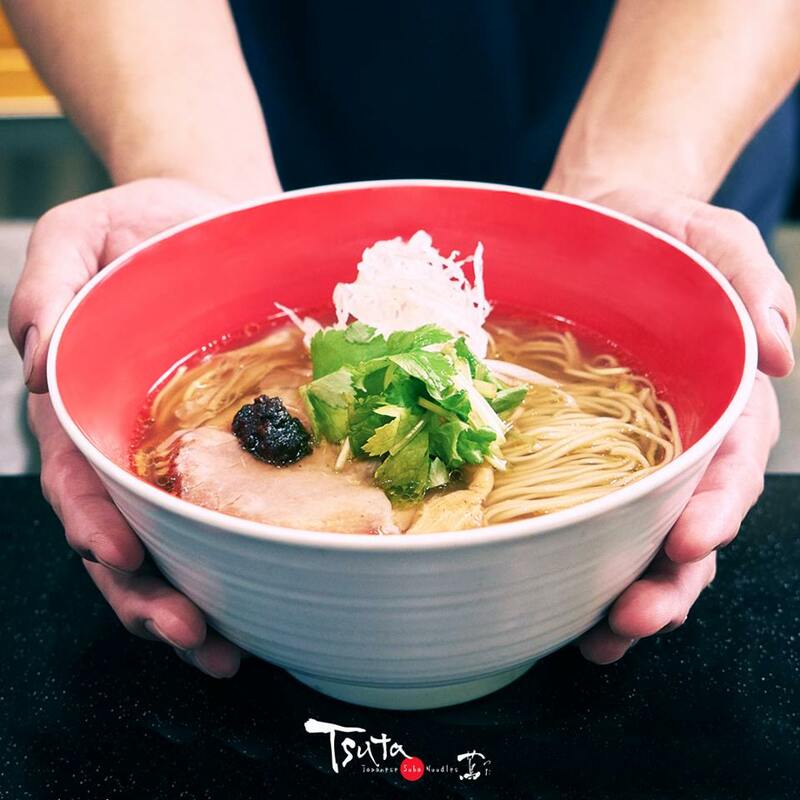 Some of the best deals include restaurants like Shin Yeh, Lao Beijing, Chen’s Mapo, and even the Michelin-starred Tsuta. Ever wanted to visit the My Melody Café? Get vouchers at 35% off so that you can enjoy more food for a lower price! There will also be flash deals on 5 October, where $10 and $5 flash deals will drop at 10am and 5pm respectively. Missed out on the flash deals? You can still score awesome deals with 60% off cash vouchers from participating restaurants like Pince & Pints, Moosehead, Golden Peony, Violet Oon, Uncle Leong Signature Seafood, Tanuki Raw Kapok, and Mitzo. If you’re paying with a Visa card, you can get an extra $10 off if you spend more than $50. Simple make your purchase on the Chope app and key in the discount code < CHOPEAPPVISA > during checkout to get $10 deducted from the balance. How do I go about purchasing and using these Chope vouchers? Buy the vouchers online at Chope Deals or through the Chope app’s ‘SAVE’ tab during the festival, but you don’t have to use it during the festival period. Most vouchers are valid for 90 days from the date of purchase, so you can use it when it’s most convenient for you. To use these vouchers, simply present it (from your app or email) to the restaurant before you order, and when you’re paying to enjoy the discount. 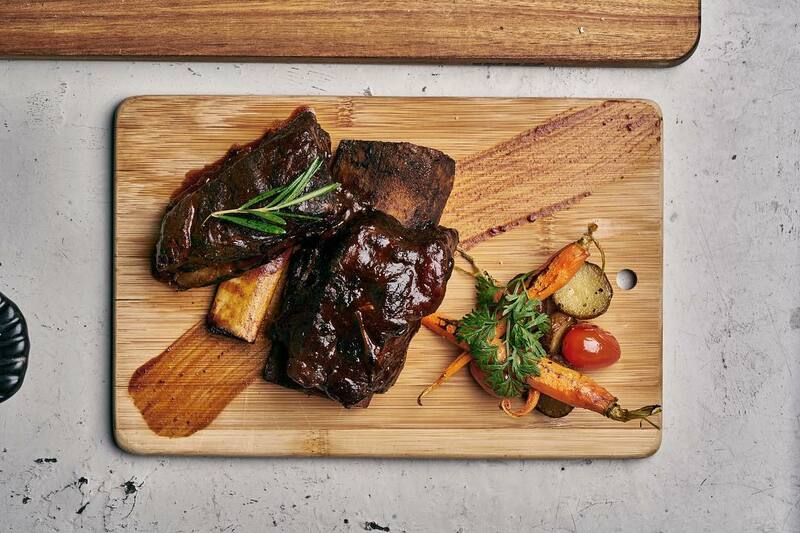 Follow Chope on Facebook and Instagram for the latest dining deals all over town.